On which 1960’s animated television series are the characters of the film based on? The winner will be announced at 4pm on the 4th of March. Mr. Peabody is a business titan, inventor, scientist, Nobel Laureate, gourmand, Olympic medalist, genius – and the world’s smartest, most-accomplished talking dog. 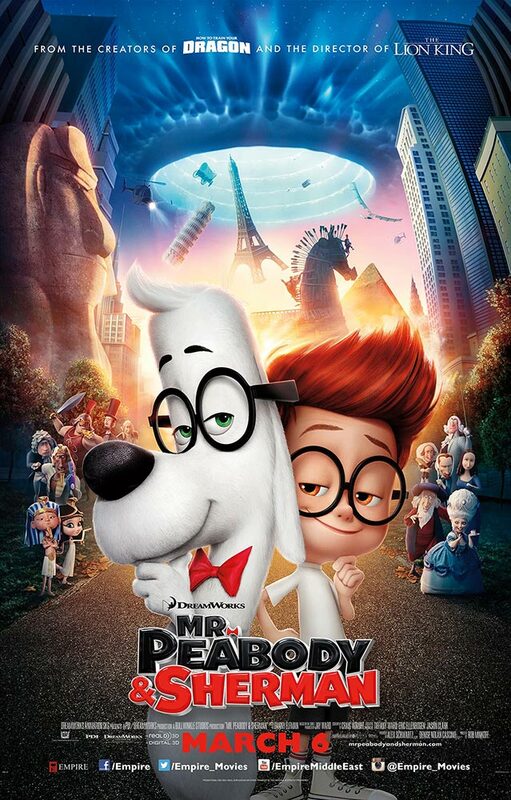 Using his most ingenious invention, the WABAC machine, Mr. Peabody and his adopted human son Sherman hurtle back in time to experience world-changing events first-hand. But when Sherman breaks the rules of time travel, our two heroes find themselves in a race to repair history – and save the future. Mr. Peabody and Sherman is releasing on March 6th in the UAE.